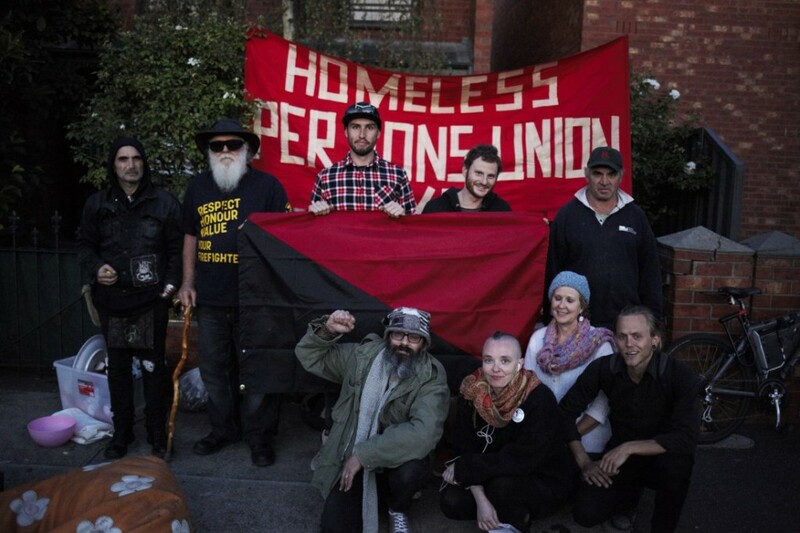 A group of housing activists and homeless people have occupied properties in Bendigo Street, Collingwood. 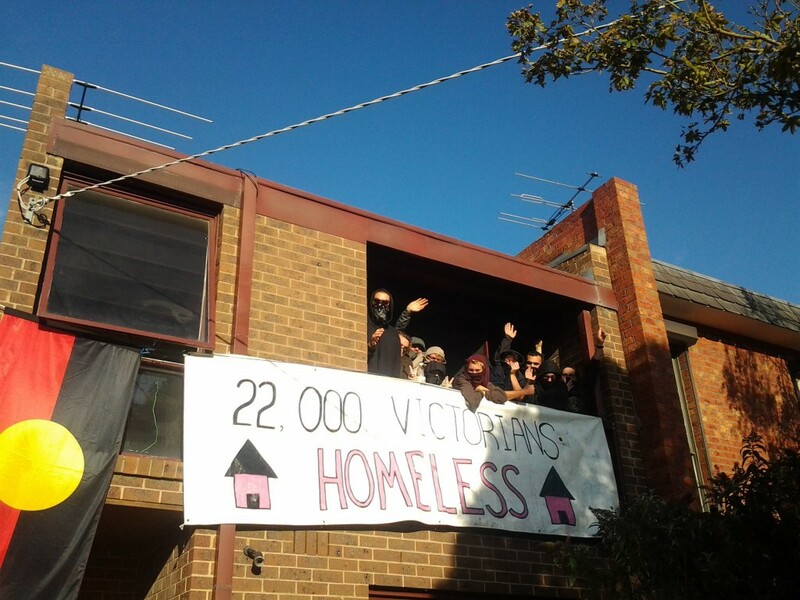 These 6 government-owned houses were pledged to be used to address homelessness by the Andrews government, but many have been sitting empty for over a year. The occupiers of the properties have made the following demands and refuse to leave until they are met. acquired land and no more dishonesty. 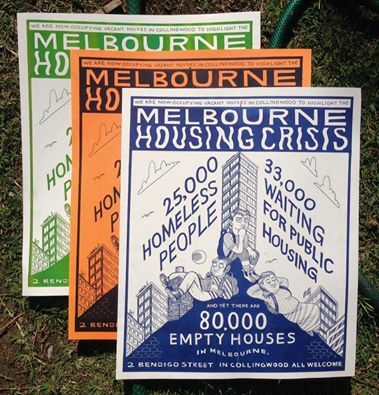 and allocated to some of the 35,000 people on the public housing waiting list. Occupation will continue until the first keys are handed over. 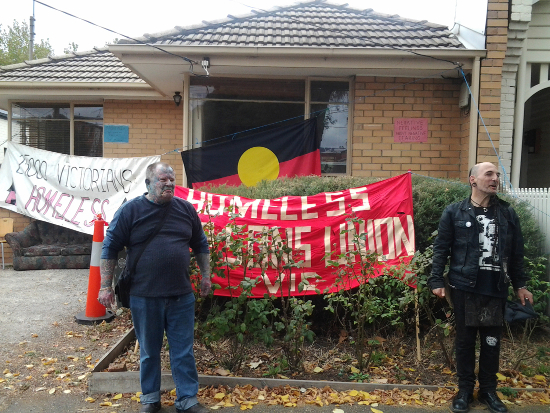 The Andrews government recently announced that the Markham Avenue public housing estate in Ashburton will be demolished by the end of 2015, and the site will be redeveloped in consultation with the 10 remaining households, the local community, the city of Boroondara, and other stakeholders. 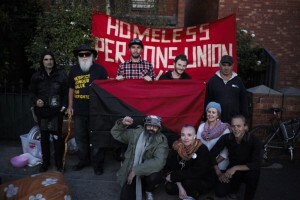 The Homeless Persons Union of Victoria takes issue with a number of elements of the government’s proposed plans. We will speak to the issues in this document. Ultimately, we will prosecute the argument that the immanent bulldozing and public-private mix of the Markham Avenue estate is emblematic of how free-market ideology has come to shape government policy, media discourse, and public views of public housing estates and tenants. Government neglect or planned demolition by proxy?